Welcome to the home of the Salisbury & District Chamber of Commerce. Here you will find all you need to know about what we do as a Chamber and how you can benefit from being a Member of the most prestigious local business support organisation in the district. Remember, Salisbury Chamber is “Where Business Matters”. Over the last 100 years the Salisbury Chamber of Commerce has supported local businesses of all sizes through many exciting and challenging years. By working together and ensuring that we communicate, support and network we keep true to our motto of “Where Business Matters”. Not only have we celebrated our centenary as an organisation, but as a Chamber we continue to look ahead to the next 100 years by ensuring that we continually adapt to embrace the modern networking facilities such as Facebook, Twitter and LinkedIn – not forgetting our ever popular monthly 90 Minute Networking lunches, plus much more. Here you will find out more about why it’s important to be part of this Chamber, and what we can do for you as a business, whatever industry you are in! We want to ensure that you can reap the benefits of being a Chamber Member and we will ensure that you are kept up-to-date of local, regional and national issues that might affect your business. Being a Chamber Member is about taking part and we look forward to seeing you soon. Andy Rhind-Tutt is married to Becky. They have four teenage children and both live and work in and around Amesbury, Salisbury & district. Andy is passionate about the community. 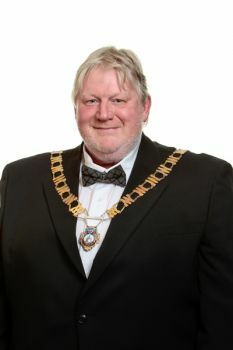 He has been a local councillor and school governor for over 14 years and was Mayor of Amesbury in 2011-12. He is also a Rotarian, devoting much of his time to charity work, helping others less fortunate and raising funds for the Rotary Club to distribute locally. In 2005 he took three months off work to arrange a fund raising event at Wilton House, where 613 guests helped raise over £54,000 for local causes. In excess of £30,000 of this money went towards lifesaving cancer equipment for Salisbury District Hospital. Andy is proud to have been awarded the prestigious Paul Harris Fellowship by Rotary International for his dedication to charity. Andy is the Founder of the Amesbury Museum and Heritage Trust, which he established in April 2012 to encourage visitors to the area to see the important civilian and military heritage of the town and the reason for Stonehenge. Amanda believes that everybody and every business matters and it's her aim to ensure that Salisbury is able to hear about the wonderful people that live and work in our City. "I aim to bring my enthusiasm and passion to enhance to my role as a Director of the Chamber". Her experience has been working with a large corporate to a family firm, from TA to Cadets, Scouts and other great volunteer groups. Amanda enjoys bringing the best of people and helping them achieve their potential which is what she aims to do with her company Hector Merrywheather along with their bespoke software training programme – don’t waste a whole day when we can train you in one hour sessions. 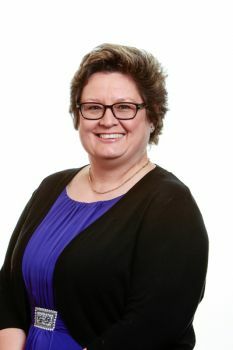 Amanda is often seen working with other local companies to help them with events and marketing. 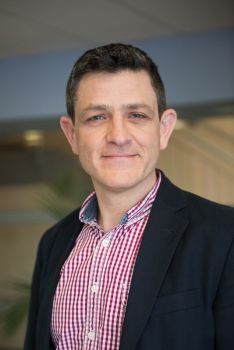 Richard is a Customer Experience Director who delivers insight for forward-thinking businesses to develop the best experience for internal and external customers. He joined the Chamber to support local business in being successful, creating a great community to work and live in. 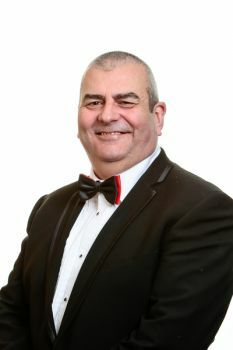 Ceri is the Managing Director of Spire FM where he has been for over 20 years, following successful careers as both a Farmer and as an Area Director with Halifax PLC. He is very proud of the fact that Spire FM has helped, together with their audience, raise over one million pounds during the past five years for local charities plus the station has brought to life the annual South Wilts Business Of The Year’s awards. He has for many years been actively involved in St Laurence’s church in Downton as a Deputy Church warden. In recognition of his community work he was installed as a Lay Canon of Salisbury Cathedral in 2012 and is also an elected member of Salisbury Chapter. 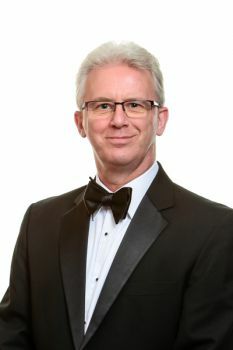 As well as an observer of Salisbury’s Business Improvement District BID Ceri is also a Director of Salisbury Chamber of Commerce and Chairman of the Salisbury Hospice Charity. He lives in the village of Downton with his wife Carol where his out of work interests include sailing and walking. 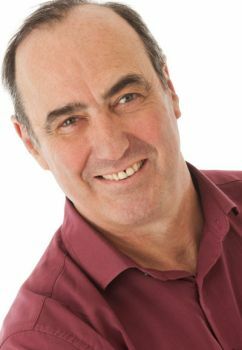 Bill Browne is Editor-in-Chief and Publisher of Newsquest South Wiltshire and North Hampshire. The company’s flagship paper the Salisbury Journal supports businesses both editorially and through its mentoring and growth initiative called Supercharge You. The annual competition is aimed at businesses that want to take the next step forward and carries a top prize worth in excess of £20,000 in mentoring and marketing, courtesy of the Journal. Keith is a local business man, who with his wife and fellow director Julie, runs a business called Personnel Placements in Salisbury. Started in 1984, they specialise in Recruitment and Human Resource Management. "We provide a service to many local employers across several different sectors. We have valued and long term business relationships with many local employers." Keith has been involved in the local community for many years, raising money for charity including The Stars Appeal. 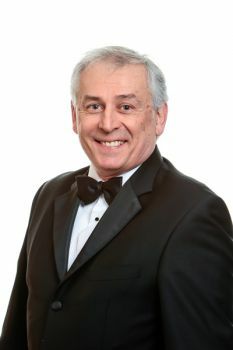 He is a Rotarian and long standing Chamber Member with previous stints on the Chamber's Board. Keith is looking forward to working with this Chamber Board and using his knowledge of the local market to enhance the service that the Chamber provides to its Members. Dan has always had a passion for business and sales. He started his career at the age of 18 different to others, where instead of taking the typical route of university or work, he started his own sales consultancy taking to market a renowned building product. 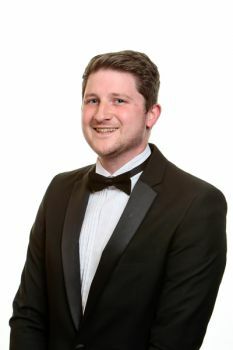 After a few years of doing this, he was invited to join Bassets Estate Agents in Salisbury, starting in the residential lettings department before moving to residential sales where he currently works. He has been involved with Salisbury Chamber since 2013, where he is most commonly known for selling raffle tickets at networking events. In November 2015, he was co-opted on to the Chamber Board of Directors, where he subsequently founded the Young Chamber, focusing on 20-35 year old working or business individuals of any profession, wanting to further themselves. Dan is extremely passionate about establishing and developing the future of the Young Chamber. John is a local business man, who with his love and passion for photography runs a thriving commercial photography business in Salisbury. In business for 6 years and a photographer for 12, he specialises in commercial photography with weddings, baby shoots, event coverage and videography also under his umbrella of talents. John has been an active pillar of the local community for many years and providing complimentary photography for charity including The Stars Appeal and Lucy’s Days out, to standing as the Salisbury football club photographer, John’s work within the Salisbury area is without a doubt widespread and he has proved to be a loyal, reliable person. John has been a long standing Chamber Member with previous involvement including being the board’s photographer for a period of time. 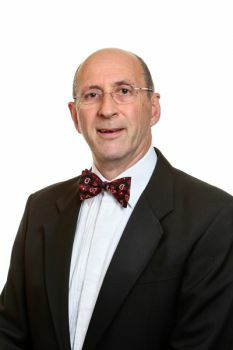 John is looking forward to working with the Chamber Board and using his knowledge of the local businesses to enhance the service that the Chamber provides to its Members, bringing a new lease of life and fresh ideas to the board, John aspires to be an active board member and make Salisbury chamber better than ever.